Discoveries of shale gas could redefine the energy market of the future. With most experts predicting at least 100 years supply in the <?xml:namespace prefix = st1 ns = "urn:schemas-microsoft-com:office:smarttags" />US at current demand rates, it is thought Europe and Asia could also have bountiful reserves. Wolfgang Rauball, CEO at Eurogas, explains that shale gas is presenting a revolution for the global energy sector. Rauball will feature on the expert speaker panel at the marcus evans Global Shale Gas Forum taking place in Berlin in September. 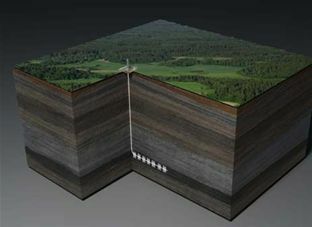 He adds that the shale bodies are so geographically dispersed that the fuel ends up being relatively close to the demand, which in turn reduces the need for long distance pipelines, citing the Marcellus shale in the US as a good example of this effect. With the Louisiana oil spill so fresh in everyone’s minds, a new focus has come on environmental protection. As a result shale gas is already experiencing environmental pressures, particularly in the north-east of the US, Rauball says. The marcus evans Global Shale Gas Forum will be held in Berlin on 6-8 September, 2010.